Walking throught the front door at Central Utilities into the Chilled Water Plant, the four massive turbine driven, chilled water machines stand in a row. Th eplant with a combined capacity of 15,000 tons of refrigeration. 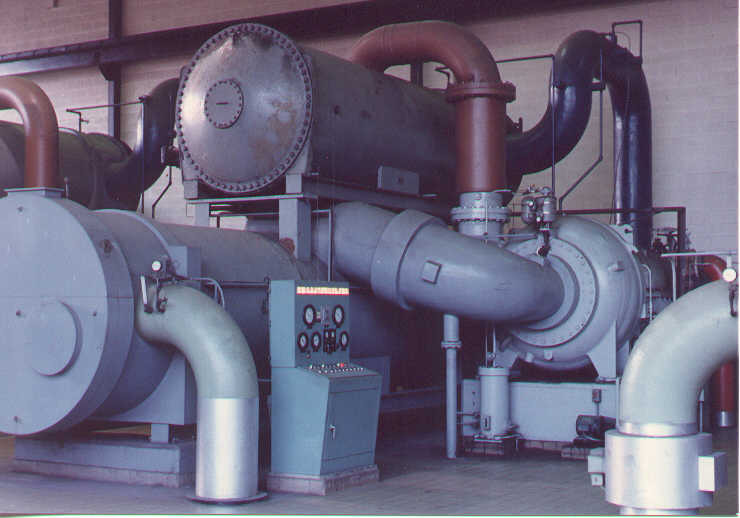 Chilled water machine: the 'cooler' at lower left, 'condenser' at upper right and the compressor at lower right, with the control panel nestled in the middle. What is a chiller you might ask? Simply put, a chiller takes warm water and chills it. These machines take water around 55 degrees F, and chills it down to about 40 degrees F, at a rate of over 6,000 gallons per minute. After leaving the chiller the 'chilled' water is pumped to various areas where other machinery blows air across it as it flows through coils to provide air conditioning. 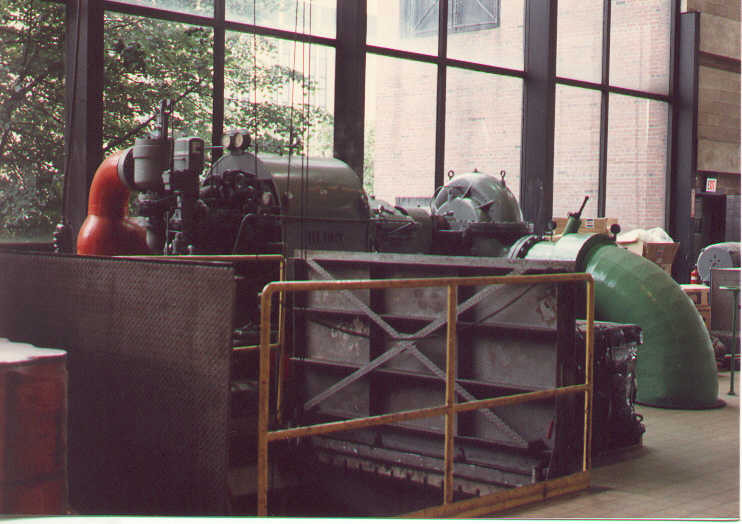 The compressor and steam turbine assembly. 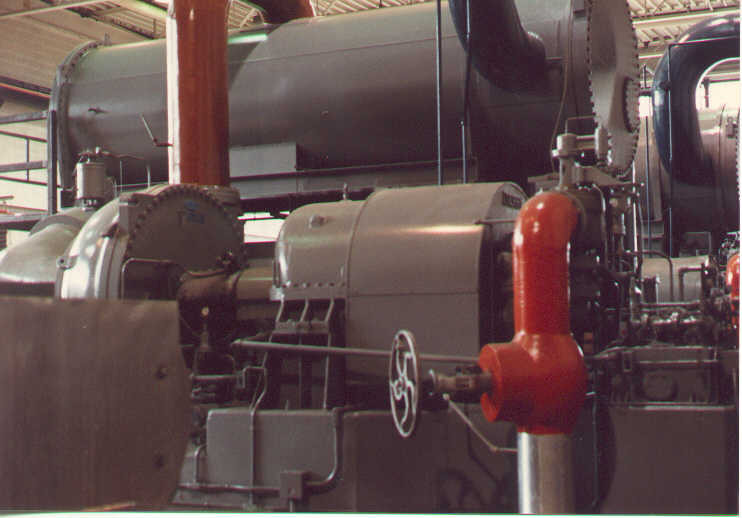 The turbine on the right connects to the compressor on the left with a shaft, they will operate at speeds in excess of 4,000 rpm at maximum load. 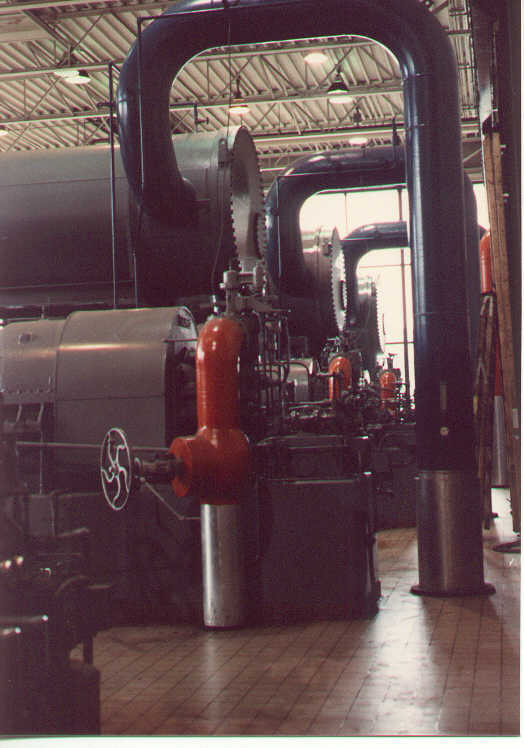 The large brown pipe in the background at left connects to the compressor discharge and carries the compressed hot gases up to the condenser. 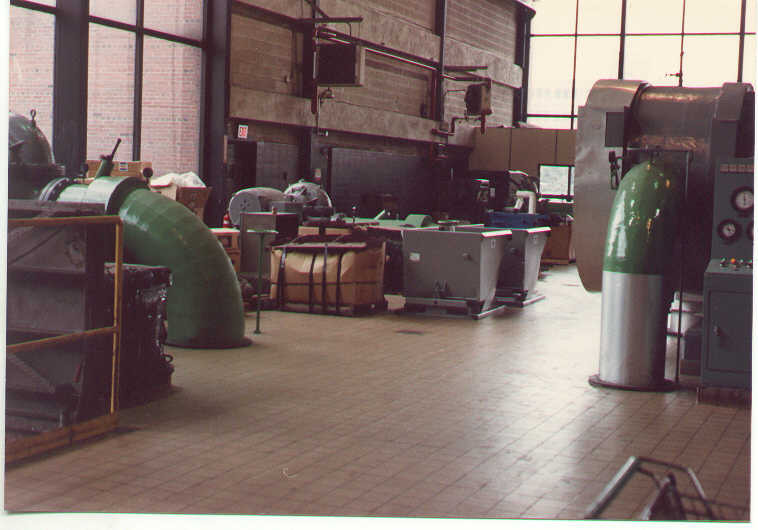 A view down the row of chillers, from the turbine end. Orange pipes are the steam inlet lines to the turbines. 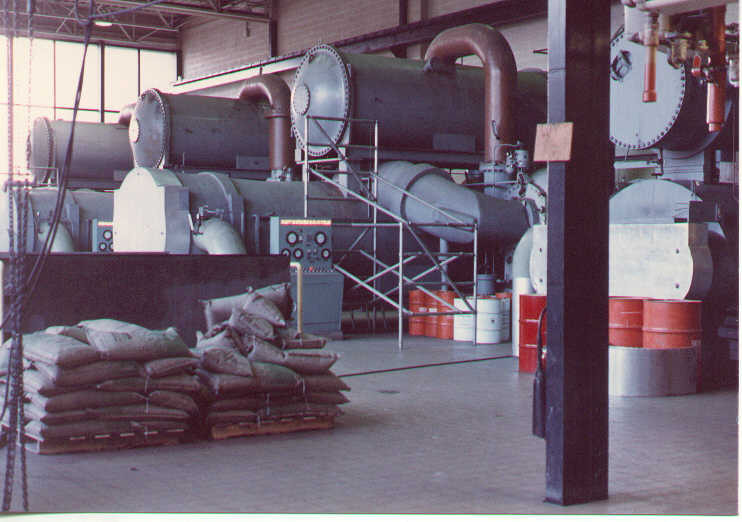 The blue pipes going up to the condenser are river water lines. River water is used as the condensing medium to transfer heat. Beyond the hatchway is a steam turbine driven variable speed pump used for chilled water distribution.